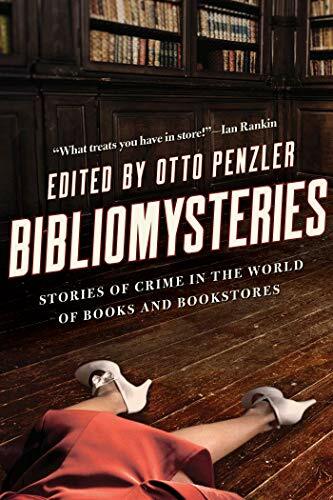 An anthology of specially commissioned stories set in literary venues includes contributions by such writers as Loren D. Estleman, Anne Perry, and Laura Lippman. The short mysteries in this collection were specially commissioned by the Mysterious Bookshop. All of the mysteries have something to do with books, bookstores, and/or libraries. Mystery aficionados will recognize most, if not all, of the contributors to the collection. I gravitate more towards cozies, historical mysteries, and the occasional police procedural. This collection is heavier in the private detective and hard-boiled/noir genres. The stories by my two favorite authors among the contributors (C. J. Box and Anne Perry) are quite a bit different from their usual fare. Most of the historical stories have something to do with Nazis and the Third Reich, so much that it seems like overkill. The stories I'll remember most are “Pronghorns of the Third Reich” by C. J. Box (inspired by a real photograph), “The Book Thing” by Laura Lippman (featuring her series P.I. Tess Monaghan and Baltimore's real-life Book Thing), “It's In the Book” (an unfinished short story by the great Mickey Spillane, completed by Max Allan Collins), and “The Caxton Lending Library & Book Depository” by John Connolly, which reminded me that it's been too long since I read my last Thursday Next novel. While it would be a nice gift for book-loving mystery fans, many readers may prefer to borrow this one from their local library. Mostly good, some better. The CJ Box and Anne Perry very true to their usual form.